A rich variety of movies comes your way back to back this September as Silverbird Film Distribution brings you The Shallows, When The Bough Breaks & Magnificent Seven.With a reputation as a trusted resource for awesome and exciting movies, they continue to deliver Box Office Hits across West Africa and Nigeria is no exception. 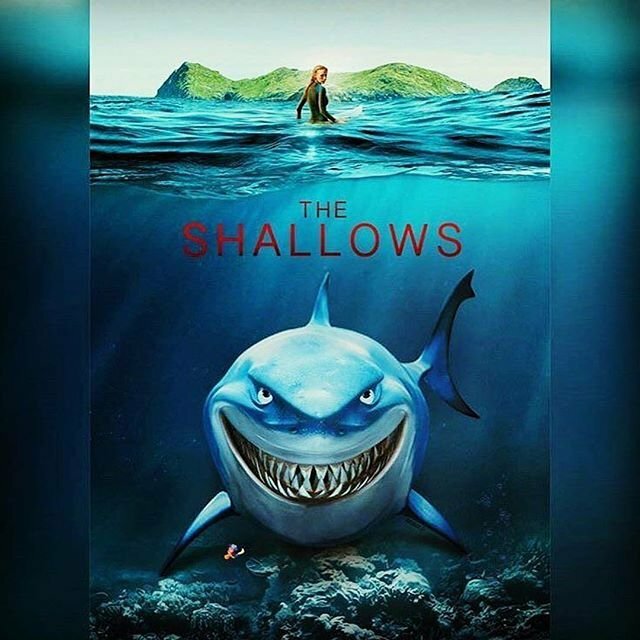 Hitting cinemas nationwide on Friday, 2nd of September 2016 is The Shallows where Blake Lively shows us her action skills in a survival, hyper-focused, action-lead performance between herself and a shark! 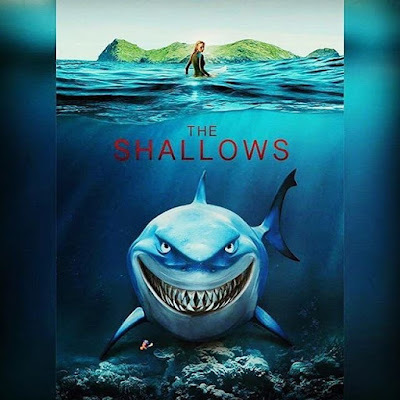 In The Shallows, you will see Blake Lively showing off her surfing skills as she runs, climbs, screams, cries, curses and dives into murky depths as she tries to escape the deathly jaws of the shark. 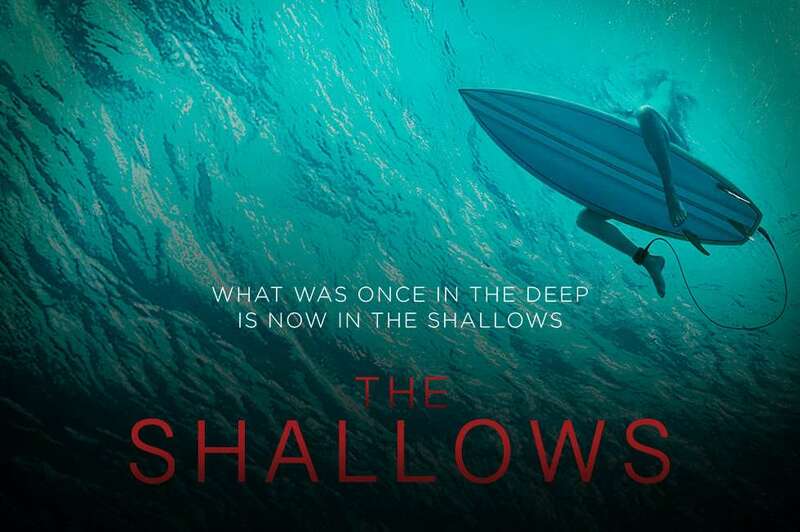 The Shallows is an energetic American survival thriller directed by Jaume Collet-Serra, written by Anthony Jaswinski and is being released by Sony Pictures International. The movie revolves around Blake Lively as as a surfer who gets stranded 200 yards from shore, and must use her wits and determination to survive a great white shark attack. Blake’s character is a medical school dropout named Nancy who encounters the shark while visiting a beach in Mexico that used to be a favorite of her mother, who recently died of cancer. She visits this beach in a bid to come to terms with her mother’s death and have some closure but unfortunately, a shark will rather open her up for food...imagine being stranded at sea with a very hungry shark for company! : According to various International reviews and critics, The Shallows is perhaps the best shark film to come after Jaws. Another great thing about this movie is its focus on how you can face an unexpected danger in the place you least expect it, and how you can still confront it if you have your presence of mind intact.This movie is bound to leave you at the edge of your seat as you follow all the strategic tactics deployed by this heroine who despite looking all fragile in her bikini, is in a race for her life! With so much nerve wracking suspense, there can only be one winner in this race for survival and it's either her or the shark! Be sure to catch this solidly crafted movie, The Shallows, showing in ALL cinemas nationwide courtesy of Silverbird Film Distribution from Friday, 2nd September 2016. For more information on other breathtaking and intriguing movies, you can hook up with them via the following platforms where you also get the chance to win lots of movie tickets and other goodies!